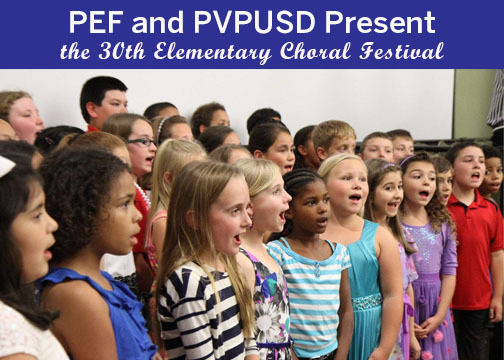 The thirtieth annual Brigitte Schuegraf elementary choral festival, sponsored by the Peninsula Education Foundation in conjunction with the Palos Verdes Peninsula Unified School District will be held on March 26, 27, and 28 at 7:30 p.m. in the Norris Theater. Singers from all ten elementary schools will be performing over the course of the three days. Tickets are $22 (plus a $7 facility fee).